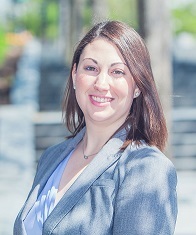 Alexi Turbow is the Public Affairs Associate for Friends of Cancer Research (Friends). Friends is an advocacy organization based in Washington, D.C. that drives collaboration among partners from every healthcare sector to power advances in science, policy, and regulation that speed life-saving treatments to patients. During the past 20 years, Friends has been instrumental in the creation and implementation of policies ensuring patients receive the best treatments in the fastest and safest way possible. At Friends, Alexi drives the organization’s communications strategy through both traditional and digital media, enhancing the efforts of the public affairs team through content creation and editorial. She amplifies the reach of Friends’ projects including legislative and public-policy initiatives across social media platforms and has grown Friends’ audience by more than 2,000 across digital platforms. Additionally, Alexi leads the management of Friends’ publications and videos. Alexi knows first-hand how crucial it is to advance collaborative efforts to benefit patients, and brings a diverse background working with differing viewpoints in the cross-section of health and regulation. Before joining Friends, Alexi worked as an account executive at a top public relations agency, starting on the health team in Chicago and then transitioning to the federal government team in D.C. During her time at the agency, Alexi focused on media engagement and strategy, event planning, and partnership outreach for a wide-range of pharmaceutical and government clients. Prior to that role, Alexi was the communications coordinator at U.S. News & World Report (U.S. News). Her duties consisted of managing the promotion of campaigns for U.S. News products such as Best Colleges, Best Grad Schools, and Best Hospitals; assisting with the inaugural Science Technology Engineering and Math Conference; and managing the U.S. News website. Alexi has previous experience at a non-profit organization as the communications and marketing intern for the United States Tennis Association where she executed social media marketing and communication. Alexi received her Master’s degree in global communication from The George Washington University in 2017. She graduated from Indiana University – Bloomington in 2010 with a Bachelor’s degree majoring in journalism and minoring in Spanish.